When I prepared to go onto the mission field, my mind often went through all the things that I may have to do. Helping people with their crops, teaching seminary students in Arica, or helping lead discipleship studies with the rural Aymara people were the common scenarios that crossed my mind, but of all the things that I thought about the one thing that never occurred to me was how important it could be to show my weakness, but that lesson was thrust upon me yesterday. We left at about 9:15 in the morning heading up to the Altiplano to visit the villages of Chapiquiña, Belen, and Lupica. It is about a 3-4 hour drive that goes from sea level to over 11,000 feet elevation. To say this trip is a little extreme is to put things a little lightly. On the way there I drove a large portion of the trip in one of the church member’s SUVs. I was nervous at the outset; I don’t normally drive stick-shift. In all honesty, and with as much humility as I can muster, the trip went very well; I didn’t stall the car once! Since this was only my second time driving up the Andes in a manual I thought that was quite the achievement. 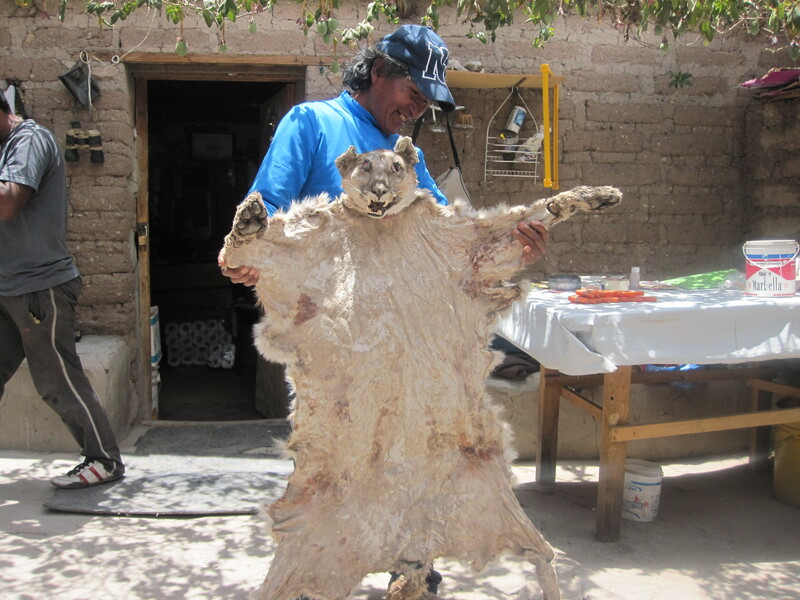 When the people who offer you a cure for your altitude sickness also show the skin of the Puma they killed, you take them seriously! As I sat there sipping the mate while trying to keep my head down between my knees I kept thinking about how weak I must appear to these people who spend every day herding their flocks and sowing their crops at this altitude. What kind of ministry can be done like this, out of weakness? Then, however, I thought about the fact that I was feeling better; the mate was working! I was learning a little portion of their culture and their wisdom. I thought a little more about it, and I realized that perhaps weakness is one of the primary ways for us to minister to those around us. Since it is Christmas week, my mind went first to the example of Christ who, in coming to minister to us, took on the form of weakness and lived among us. It was through becoming one of us that we could trust him and learn from him. 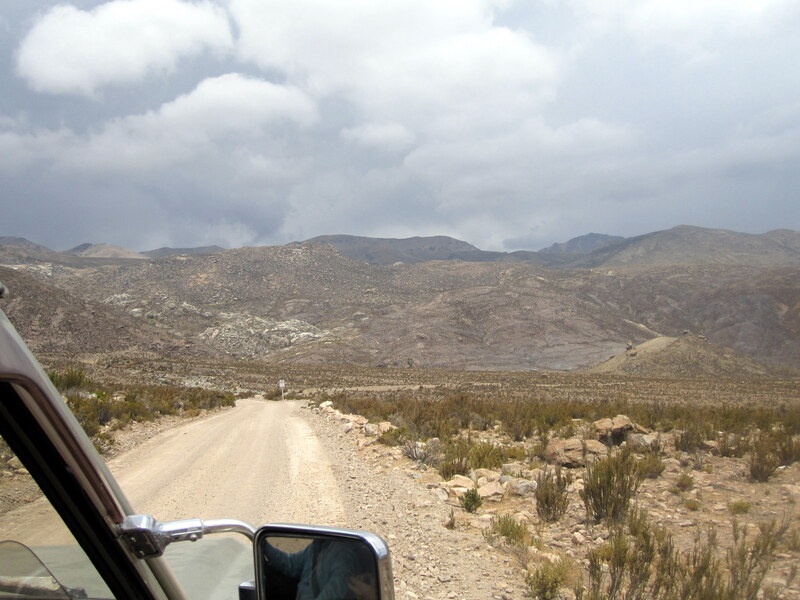 During what they call the Bolivian winter, rains come more frequently to the high desert as can be seen by the gathering storm clouds. Maybe, just maybe, by my getting sick and having to be treated by them, I’ve learned just a slice of their hard life. Perhaps by my being on the receiving end of their help, they may be more receptive to any small bit of help I hope to offer in the future. So as we celebrate Christmas this weekend, let’s remember the way that Christ came in weakness in order to minister to us. Then may we begin to think in the ways in which we can embrace our weakness so that others can embrace the help that can only come from God. God bless you Blake. He does act in mysterious ways that we don’t quite understand until we seek guidance from Him. Oh, what will He do next through you and Bekah. May you have a wonderful week as we share the greatest gift ever.